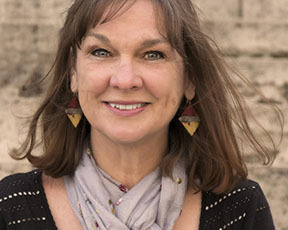 Winner of The Writers’ Union of Canada’s 2016 short prose contest for developing writers, Susan Wadds’ award-winning short fiction and poetry have been featured in literary journals and anthologies, including Room and carte blanche magazines. The first two chapters of her novel, What the Living Do, won Lazuli Literary Group’s writing contest, and was published in Azure’s winter 2017 issue. A graduate of the Humber School for Writers, Deepam is also certified in the Amherst Writers and Artists (AWA) method of writing workshop facilitation. Annually, she hosts international writing and yoga retreats. Susan divides her time between Sebright, Ontario and Victoria, British Columbia. Visit her website at http://deepamwadds.com/writer/, and connect with her on Instagram @deepamwadds. WOW: Congratulations on winning first place in our Q3 Creative Nonfiction essay competition! What prompted you to enter the contest? SW: I'm always on the prowl for contests and calls for submissions that fit with pieces I have written, but WOW has a special place for me because of its supportive mandate. Since the bones of this piece were already in place I was delighted when I received the newsletter announcing this contest. WOW: Your entry, “Once We Were Sad,” is powerful and poetic from the first lines. What inspired you to write this particular story? SW: I'd been observing with stark clarity how when either I or my partner try to spare each other our heavy emotions the more distant we become. Of course, my first observations pointed the finger at him, but on reflection I recalled being accused of that very tendency. As I wrote, the story unfurled itself. The shock of being told that I didn't know how to share has reverberated through me since 1979. This was an opportunity to explore what that meant and means. WOW: You host several writing workshops, including a yoga and writing retreat in Greece, which sounds fabulous. What would you say are the main benefits of attending a writing retreat? SW: Writing retreats offer an opportunity to dive deep into one's practice without having to disrupt the momentum. The supportive environment helps to develop trust which enables participants to cut closer to the bone; to write what presses on their hearts. Also, there is the magic of the collective energy which seems to bump up the quality of everyone's work. We like to balance the structure of gentle yoga and guided writing with free afternoons to give participants the benefit of deep restoration while developing their craft. WOW: Can you tell us what projects are you currently working on? What can we plan on seeing from you in the future? SW: Thank you for asking! Currently, I'm struggling with a memoir that I tried to write as a novel, but it made even less sense as a novel than the real-life story. It's called, "The Soft Ones" about the fallout after my ex-husband was convicted of molesting our son's babysitter. I thought it would be easier as a memoir since it's my story, but I keep stepping on buried mines. I'm determined to write my way to the end, though, as the thread I hope to pull through, fragile as it is, is one of forgiveness and redemption. I've got two completed novels doing the rounds of literary agencies, so hopefully you will see them on a bookshelf in some happy future. WOW: Best of luck with those projects, including diving into some difficult subject matter. Let us know when the novels become available to read! Thanks so much for chatting with us today, Susan! Before you go, do you have any tips for our readers who may be thinking about entering writing contests? SW: Just keep entering. You won't win if you don't enter. Also, paying small entry fees is a way to support those magazines and journals we so need. I like contests because they put you out of your misery within a time frame, whereas with general submissions it may take up to a year to find out your work has been rejected. Enter often and forget about the entries. You'll go mad if you constantly check. Then, if you do place, it's a wonderful surprise. If you don't place, then scan through your submission to make sure you didn't screw up, and send it out again pronto. And... contest wins look pretty on your CV. Susan--I am so excited. I'm leading two writing retreats in the next year, have led several in the past couple of years, and I completely agree with you. One of the most important benefits of a writing retreat is the luxury of being able to stay in the writing groove. When planning them, each writer gets a "goodie bag" and the group is divided into smaller response groups (based on personality and what they're working on). There are some resources they can use, if they need/want to, but otherwise, their time is set up the way they want. Good luck with your current WIP, along with getting one of those novels snapped up by a publisher. Susan, I love your essay! What you said about you and your partner is what I've been going through this week with my hubby. He didn't want to tell me the bad news about his business but I knew something was wrong...and it created this distance between us (and a few arguments!). Your essay is a deep dive into the topic in so few words! I love the way you said it started with him and then you found out that you've done the same thing. That's what I love about the essay form--it forces ourselves to excavate our own truths. And you did it so lyrically and with such emotion. Your writing retreats combined with yoga is such a GREAT idea! That is totally the type of retreat I'd like to attend. There's a local group here in LA that does meditation and writing that I'm interested in attending. I've heard it can help enhance your writing.